The negative symptoms of Bipolar Disorder can include prolonged, heightened and swiftly changing moods, engagement in risky behaviors, difficulty concentrating, irritability, rapid speech, and sleep disturbances (National Institute of Mental Health, 2013b). But Bipolar Disorder is not characterized solely by negative symptoms – individuals with Bipolar Disorder often find that their condition stimulates creativity, a positive outlook on life, a deeper connection to and understanding of emotions, and dauntless energy others cannot match (Muzina, Kemp, & McIntyre, 2007). Gruber et al. (2012) found that patients with Bipolar Disorder were far more able to maintain memories of positive emotions than other individuals, and that they were also far more able to let go of negative emotions. This self-reinforcing attitude allows individuals with Bipolar Disorder to strengthen themselves with an optimistic attitude toward life, and see the silver lining around every cloud. Jung et al. (2010) found that Bipolar Disorder is associated with reductions in Fractional Anisotropy (FA), a measure of the myelination of the brain’s white matter, increasing divergent thinking, openness, and creativity in individuals with Bipolar Disorder. While the negative symptoms may abound, these two studies point to incredibly positive traits unique to individuals with Bipolar Disorder. Whitney and Costa (2012) point out that when it comes to treatment for Bipolar Disorder, one size does not fit all, and for most individuals, focusing on the positive aspects of the disorder as well as the uniqueness and independence of the patient is important in promoting lifelong wellness and success. This leaves many individuals with Bipolar Disorder to question whether or not participating in counseling and medical therapy is a sufficient approach to treatment. 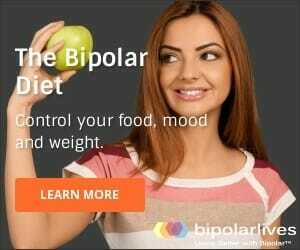 These steps are certainly important in managing the negative symptoms of the illness, preventing suicide, and offering relief from the social and emotional strain felt by many Bipolar patients. But in addition to these steps, Bipolar patients may need outlets for their uniquely positive traits. Peterson and Seligman (2004) suggested that individuals are “evolutionarily predisposed” toward certain virtues, including wisdom and knowledge, courage, humanity, justice, temperance, and transcendence. This last virtue, transcendence, includes such activities as the appreciation of beauty, excellence, gratitude, hope, humor, and spirituality. These qualities are discussed by Thagard (2005) in his works on the habits of highly creative people; Thagard suggests that highly creative people must be willing and able to exert great energy and that their thinking must be divergent and open in nature. The unique brain of the Bipolar patient is highly specialized for just these kinds of tasks. Albert Einstein once said, “Everybody is a genius. But if you judge a fish by its ability to climb a tree, it will live its whole life believing that it is stupid.” Expecting a Bipolar patient to live a life like everyone else is like ordering the fish to climb the tree – it’s ridiculous, unproductive, and damaging to the fish’s sense of self-worth. Truly, Bipolar Disorder is simply another organization of the brain, offering its own unique challenges and strengths – to focus on it as a disease, illness, or disorder deprives the patient of the ability to capitalize on what makes him or her simply brilliant.